Mangaluru: A mafia takes over GSB temples? Mangaluru, Mar 20, 2018 : This question comes up when we see a few cases that have come up in the past decade or so. 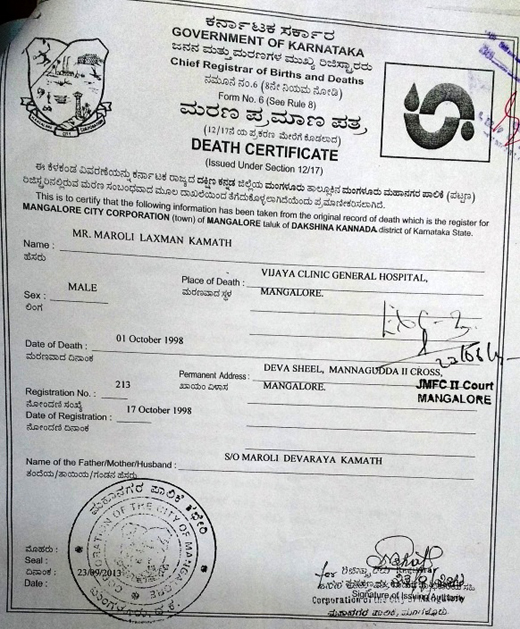 The most notable among them was the sensational murder of the RTI activist Vinayak Baliga where the accused no 1.Is Naresh Shenoy s/o Late Sri M.Namdev Shenoy, the father who is no more had been accused of a number of other offences including breaking locks to enter a temple and also the locker break case mentioned below. Vinayaka Baliga was brutally murdered on the 21st March, 2016 allegedly by hired killers. The investigation of the case led to Naresh Shenoy who had allegedly master minded the plot and the cause for that was that he had dared to question the misuse of funds by the trustees of the Venkataramana Temple. But the role of others whom Baliga had taken on is not clear because he had filed cases against a number of others who had violated laws. There is another case which has come to its logical end recently relating to the Vithoba Temple of Mangalore. One of the famous temples of Mangalore though it is privately owned was founded by one Laxman Prabhu alias Narayana Teertha Sanyasi who had executed a trust deed in 1923 to establish a temple by transferring property to a Vithoba Rukma Bai devara bhandaram along with another person Maroli Lakshman Kamath who were the sole hereditary trustees. The temple had about 51 cents of land with buildings etc. 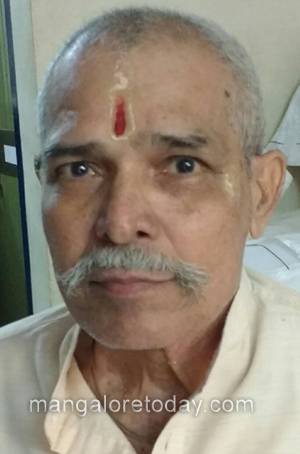 Sri M.Varadarya Prabhu had been the managing trustee of this temple since 1983. Later on two others were co-opted as Hungami trustees, these were to be ostensibly to help the hereditary trustees but without any decision making rights which were to be taken by the managing trustee. These conspired and got the managing trustee removed and he sought legal remedies for it. While the suit was pending another trustee was inducted in 2010- one Namdev Shenoy who is the father of the accused no 1 Naresh Shenoy of the Vinayak Baliga murder case, Later on another trustee called Hanumant Kamath was also co-opted- all without the knowledge and consent of the Managing trustee who had been forcibly ousted from the premises of the temple belonging to his family. He instituted a civil suit for restraining these allegedly co-opted trustees from taking over the temple. After taking over the temple forcibly the coterie tried to take over the jewelry belonging to the deity. The keys of the locker were in the possession of the managing trustee Varadaraya Prabhu the locker being in his name and the rental was being duly debited from his account at the Canara Bank, Car street branch, Mangalore where the locker was in use. Coming to know of this conspiracy he had specifically instructed the bank that the key of the locker was with him and unless he came the locker should not be opened. But, despite of that the bank allowed the locker to be broken open and the valuables inside were taken out by a number of people which included the citizen activist Hanumant Kamath and the accused no 1 of the Vinayak Baliga sensational murder case Naresh Shenoy. The whole incident was videographed but a copy was not furnished to the managing trustee when he asked for it. However, he had lodged a complaint for deficiency of service against the bank at the Consumers Disputes Redressal forum and obtained the videos of breaking open of the locker to the complainant. Since the police had refused to register a case and had filed a B report, using them as evidence he filed a private case at the court of II nd additional CJM at Mangalore who directed the police to investigate the case and an FIR was filed in 2014 thirteen years after the crime was committed! The story of this crime needs more elaboration because it shows how the officials of a nationalized bank connived with this mafia to break open a locker and remove valuable objects based on forged documents. That a coterie is out to take over the temple for its is established by another fact that Hanumant Kamath who is the manager of the Sevanjali Trust founded by Naresh Shenoy was brought in as a trustee to the temple. It was done supposedly to hold a week long bhajan called as ahoratri saptaha. This however was set aside by the court and he was restrained from holding any ahoratri bajana saptaha in the temple or from collecting any monies from the public for the said purpose or any other purpose in the name of Vittoba Rukmai Bajana samithi or in the name of the temple. 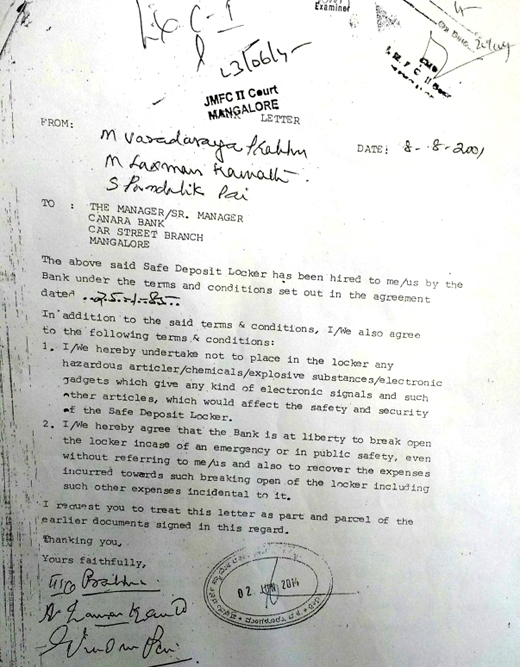 One of the obviously forged documents was the letter supposedly given by the three trustees to the bank on 8-8-2001 in which the managing trustee and two other trustees had authorized the bank to break open the locker. Nothing strange about it except that one of the signatories of that letter Maroli Lakshman Kamath had left for his heavenly abode on the first of October, 1998 and had come down to earth specifically on this date to the bank to sign the document! Due to the influence of the parties concerned this blatant case of forgery, theft, impersonation and cheating was not registered by police and the managing trustee had to approach the court for the registration of the FIR and further action. In the list of accused in this case there are seventeen people including six employees of the bank and the jeweler who had checked the items. The said trial has been stayed by the high court of Karnataka since the bank had argued that the case was not maintainable as the trustees of the temple trust have been changed. Whatever the arguments of the bank may be the question arises as to why they were overanxious to break open a locker when the client who had the key specifically instructed them not to do it. This too when they knew there was some litigation going on and the rules state that a locker can be broken open only when the court orders for it or the one who has rented it requests for it? It is obvious that vested interests have been at work behind the scenes to do this illegal job. Now that the court has ruled that the managing trustee Varadarya Prabhu is the sole one and others are restrained from asserting as trustees we have to see how the bank will respond to it. This was not the only criminal case pertaining to the temple. Prabhu had filed one more case about five people who had broken the locks, removed valuables from the premises on 10/11/2010. Again though a complaint was given to the police immediately they failed to take any action and so he had filed a private complaint and an FIR was made in 2013! The accused no 1. In this case is Hanumant Kamath and the second is Mangalpady Namdev Shenoy who is no more. The others are Maroli Surendra Kamath, K.Mohan V Nayak and U.Vishwanath Nayak. Since the last three accused in the case had not attended the hearing warrants have been issued against them which they have stayed at the Karnataka High Court. The alleged change of trustees had been challenged by the managing trustee who had filed a civil suit no. 905/2011 against Mangalpady Namdev Shenoy (now deceased), Maroli Surendra Kamath, Sri Mohan V. Nayak and Sri U.Vishwanath Nayak who are claiming to be trustees of the Vittoba Rukma Bai Bhandaram and the judgment has been delivered on the 3rd of March 2018 by the 1st addnl civil judge and JMFC, Mangalore. In this judgment the defendants (named above) are “hereby restrained from interfering with the day to day management of plaintiff no 1. Bhandaram by asserting to be trustees or the managing trustee, as the case may be and or from interfering with the function of the plaintiff no.2 as the managing trustee of the plaintiff no.1 Bhandaram. The defendants and their representatives are further restrained from erecting any structures or causing any material alterations in the precincts of the plaintiff no.1 Bhandaram or ‘A’ schedule property by the way of permanent prohibitory injunction”. Despite all these legal victories Varadaraya Prabhu lives in fear for his life. He is apprehensive that he too may meet the fate of Vinayak Baliga as the mafia which is out to take over these temples is a very powerful one and would not hesitate to go to any level to eliminate those who oppose them. Unless the members of this community wake up to this there will be more such cases and justice for Vinayak Baliga remains a distant dream for his sisters who are fighting a desperate battle against these evil forces.